Today, the Petersburg Visitor Center displays one of those Confederate Coehorns on a reproduction block bed. 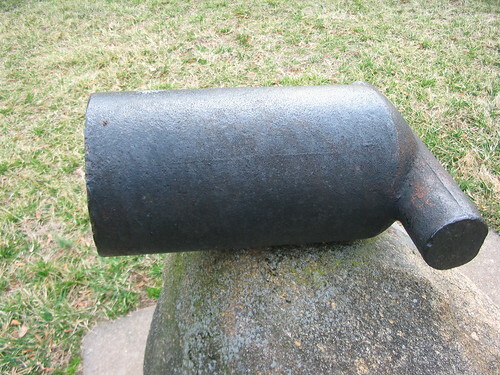 These Confederate Coehorns used iron instead of bronze, reflecting material shortages in the south. 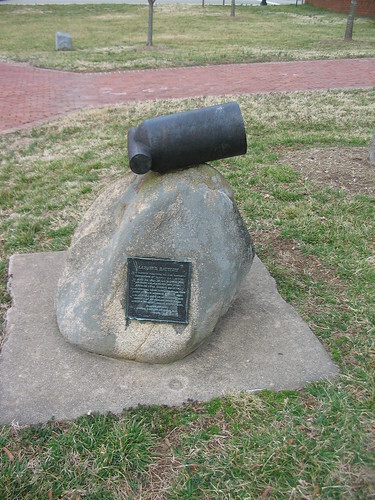 Another example of the rebel version of the Coehorn sits in the open air at Amelia Court House. 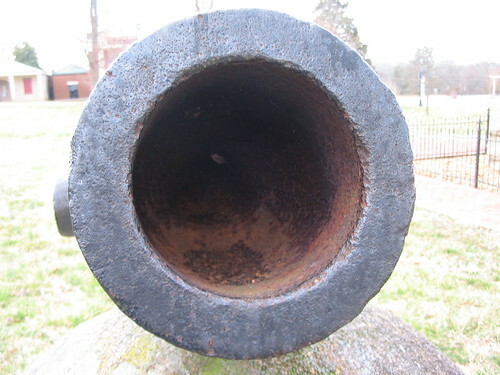 According to the plaque below the mortar, it belonged to Lamkin’s Battery and was captured during Lee’s retreat, at Flat Creek in April 1865. The mortar’s profile is very simple, speaking to wartime expediency. Almost looks like something that fell off a truck or a train, rather than an instrument of war. The muzzle lacks any surviving, legible markings to help research its past. 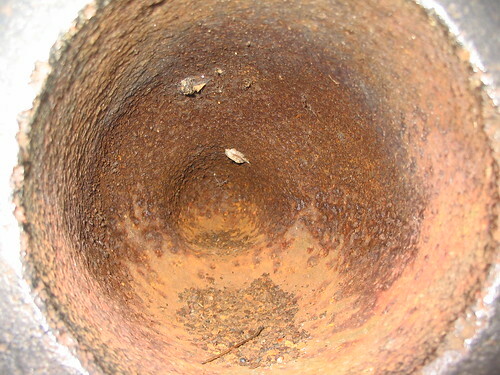 A look down the bore reveals a sub-caliber powder chamber. The chamber profile was not cup-shaped with well defined edges as with the Federal models, but a rounded impression at the bottom. From casual inspection, it appears the mortar is mounted with the vent down. The exterior of the mortar reveals casting lines even after 150 years of exposure. 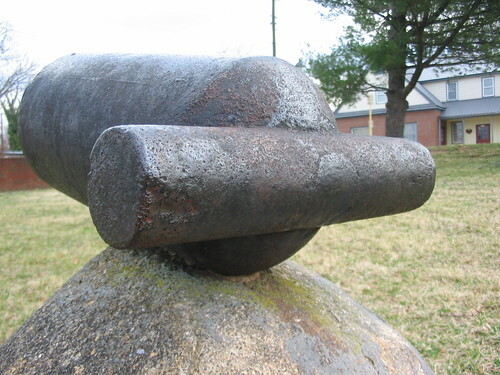 The trunnions form into a cylinder across the breech, not unlike Federal models. But look at the seams on the Coehorn trunnions. Particularly the circular seam at the middle. This appears to be welded on, or at least slipped on, after the mortar casting. Confederate Coehorn production records are few and far between. Tredegar produced nearly fifty 24-pounder Coehorns, all iron, starting in May 1864. Tredegar also provided twenty-six 12-pdr Coehorns before all production ended with the evacuation of Richmond. Many of these appeared on the foundry’s “gun book” as simply “12-pdr” or “24-pdr” without mention of the type of weapon. The rough casting of the Amelia Court House mortar is indicative of Tredegar work, particularly late in the war. The provenance of this weapon, if the plaque is correct, further alludes to a Tredegar origin. 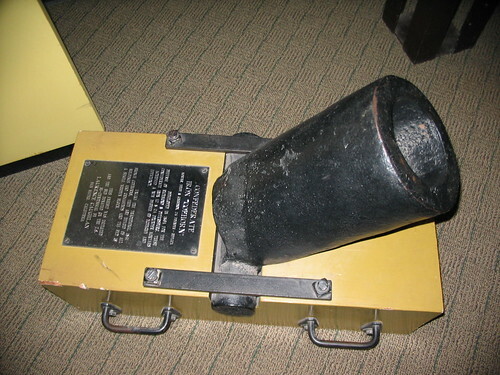 There was one Confederate 12-pdr Coehorn reported among the trophy collection at West Point. But from what I’ve read, it was given up to world war scrap drives. Tredegar was not the only source for Confederate Coehorns. Selma Naval Ordnance Works shipped Coehorns to Mobile, Alabama late in the war. 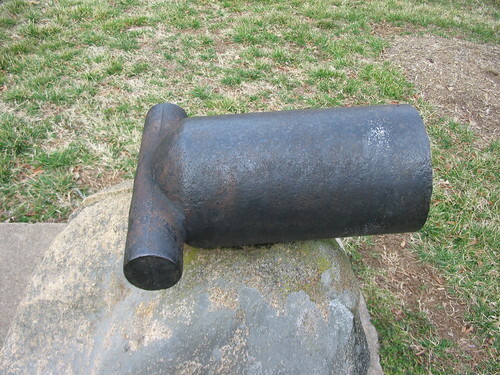 One surviving example, in private hands, is described as having a different exterior shape from the Tredegar Coehorns. But since I have not seen the mortar, I can’t speak to the particulars. 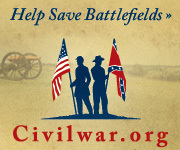 The Confederates turned to the Coehorn as the war entered its last year. Obviously this had much to do with the operational situation which brought forward tactical demands not seen earlier in the war. The use of iron over bronze and the simple form speak to the need to rush the weapon into production. Perhaps the lack of markings is also a function of that rush to get them into the trenches. 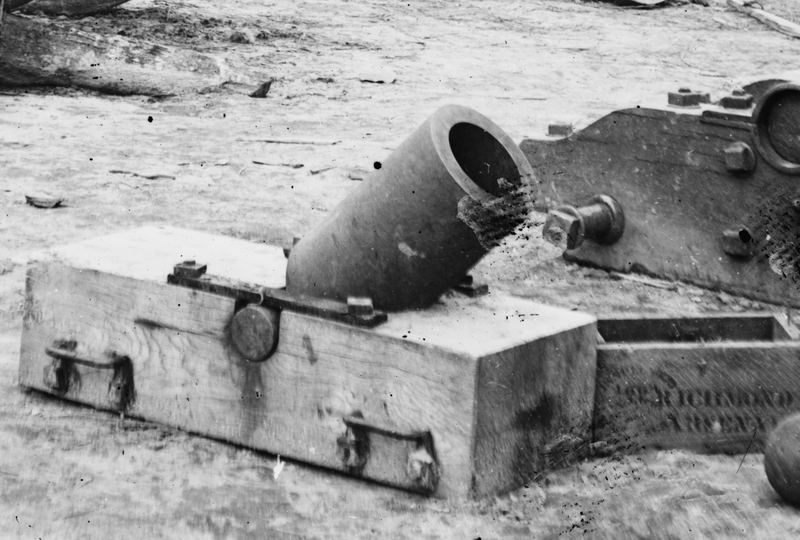 The Confederacy was short of many items in 1864… mortars included.